Gaming is a very interesting and unique industry. It has evolved a great deal over the last three decades and now deals in virtual products. It’s a far cry from traditional notions of business. Yet despite its modern trappings it is still driven by the same processes and imperatives of any other sector. Therefore, should a customer really treat it any differently? The reason I ask is because it seems to me that gamers have a very different relationship with their respective vendors, compared to other groups of consumers. It is a relationship that I believe to be somewhat skewed and therefore detrimental to both parties. Whether you are buying a house, a new TV or loaf of bread at the supermarket, all business transactions are governed by a basic contract. Goods or services are exchanged for money. Furthermore, those goods and services must abide by a set of pre-agreed criterion. If these are not met, then the goods or services are not fit for purpose and the contract is null and void. The transaction is subsequently cancelled. If funds were paid in advance, then they are returned. There is a logical purity to the process. As a consumer this procedure should be your abiding philosophy and caveat emptor (“let the buyer beware”) your personal mantra. Obviously, consumer legislation has layers of complexity and may vary from region to region, but the basic tenets are universal. Bearing this in mind let us turn our attention to the gaming genre, specifically MMOs. They are a curious product to begin with. Until recently, initial payment only allowed you to use the client software for first thirty days. To continue using it, a subscription was required. This has changed recently, and the basic product is now given away free, with revenue coming from the sale of enhancements and premium services. Yet despite all this, the business model is still subject to the traditional contract. Therefore, if the vendor defaults in anyway on their obligations, then the buyer has appropriate legal recourse, within the terms and conditions of the service. Unfortunately, gamers do not simply buy a product and view the transaction with dispassionate and logical legal acumen. Gamers bring enthusiasm and fandom to the equation. Games evolve, and player participation and feedback contribute to that process. The love and time that gamers invest into an MMO elevates the process above a simple business transaction. This is a very big factor in shaping the way gamers perceive their business relationship with the developers. In fact, some lose sight that it is an actual business relationship and see it more as some sort of reciprocal partnership. This is where the problems begin. Because MMOs are so dependent on customer feedback there is a requirement for forums and an overall dialogue with the player base. This in some ways transcends traditional customer services and takes on a broader role. There is a practical need for a centralised point of information and therefore the role of community manager arises. I consider this to be a contributory factor to the blurring of customer, vendor relationship. Most other businesses have customer service or support. They serve their purpose in providing paying customers with the ancillary service they are due, but they do not alter the dynamics of the relationship. A community manager by their very title infers a community that needs to be "managed", which in turn changes customers with statutory rights into a different group altogether. Communities in the wider world have a voice. Often, they are solicited by politicians and as such, have power as a lobby group. When this sort of terminology is used with regards to gamers, there is the risk of that they will assume a wider degree of involvement and of their own importance. It is this misinterpretation of what each respective group’s role is, that causes problems. Now consider the gamers above average emotional investment into the products that they are buying. People seldom have a comparable bond with the company that manufactured their fridge. Some fans therefore confuse support and interaction with a vicarious form of co-ownership. Because of roles like community manager and the personalities associated with them, the business relationship then blurs and a more personal one replaces it. It may be well meant initially, but it distorts matters and not for the better. Game developers are commercial entities and making money is their raison d'etre. This should never be forgotten. Ultimately "community management" and other "soft skills" are done out of necessity. They are not driven by altruistic notions and are not providing some sort of benevolent social service for the "greater good". They want your money and will do whatever is required to get it. The vendor is not a friend. If you use a supermarket and get poor service, you will either complain or more than likely just vote with your feet and never return there again. If you buy a high value electrical item from an established company and find the product faulty as well as the customer support wanting, again you will probably just refrain from purchasing from them in future. As a consumer you may tell others of your bad experience, but you will ultimately get over the matter. After all it is a question of maintaining a degree of perspective. Exactly how much damage has this negative experience done too your life? It not as if your family or a Shaolin Temple has been offended? Now obviously with gaming it is important to consider the time that is invested by the players into the product. This does mean that the consumer has possibly more invested and at stake than the casual shopper that I previously described. However, ultimately the personal investment is something the consumer has brought to the proceedings of their own free will. It has no bearing on the basic business contract that both groups of customers are governed by. 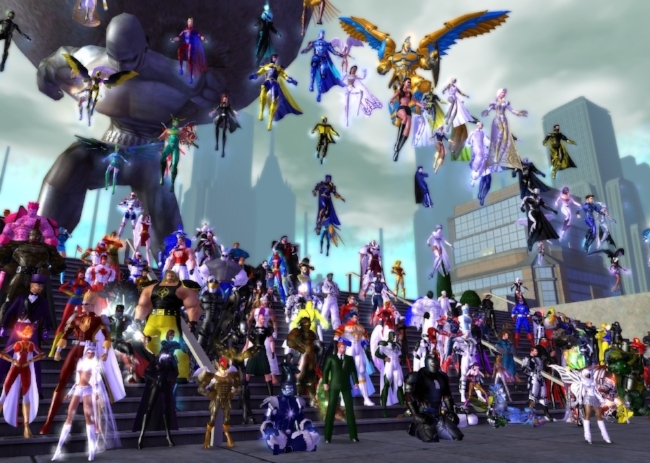 The closure of City of Heroes by NCSoft back in 2012, clearly illustrates this situation. Naturally fans of the game were up in arms and far from happy with its demise. There was a great deal of vocal protest and I have read such statements as "I will never by another NCSoft product" or "they'll never see a red cent of my money again". Emotions were extremely high and some of the opinions expressed seemed to be disproportionate with regard to what had actually happened. It is this type of reaction that I see all too often manifest itself across numerous fans bases. Terms like "betrayal" and "traitor" are used. I have seen these in relation to LOTRO for example. 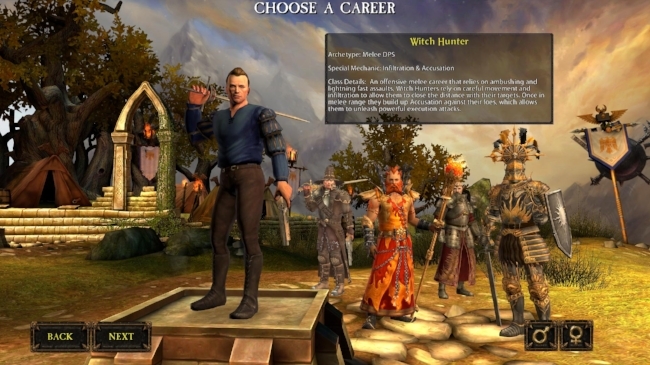 Authors such as George R. R. Martin and Jean M. Auel get hectored by fans who are far from happy with the direction the writers have taken their own creations and work. Again, this all stems from the fact that fans feel that they have some sort of collective ownership or claim to the material they love. Dare I even mention Star Wars? Passion, fandom and a love of a particular thing can be very positive experience. Ask any scientist, musician or film makers and you'll often find that they were influenced by popular culture. Star Trek has inspired a wealth of our best current achievers. But fandom can also lead to a false entitlement and a very blinkered view of the customer, vendor relationship. Consumers are not the same as creative consultants, nor do they share equal status to those that make the products. This is especially relevant for gamers. 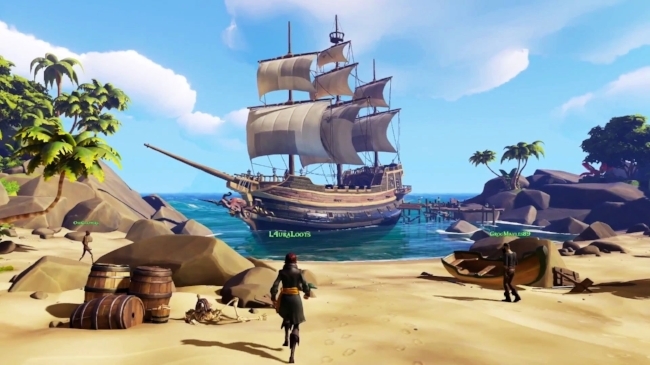 The recent launch of Sea of Thieves is a perfect opportunity to reflect upon this matter. If you purchase this game at this point in it's lifecycle, then you need to consider the following. The game has a finite lifespan, which is governed by its capacity to make money and what other future products the manufacturer has in its portfolio. Buying and playing the game, sinking hours of time and passion into it guarantees nothing. Being active within the wider scene, running a website, hanging out with the community manager at PAX or whatever, does not mean you have more say or clout. Your consumer rights have not altered from what they were on day one. It is very depressing to do so, but my advice is to read the terms and conditions that accompany any MMO (or any other genre of game). They often succinctly tell you exactly where you stand, which is not necessarily where you think. Therefore, let the gamer beware.